Smart Business is the first knowledge-age book to give practical advice on how to organize and make use of knowledge - how to turn knowledge into wisdom. 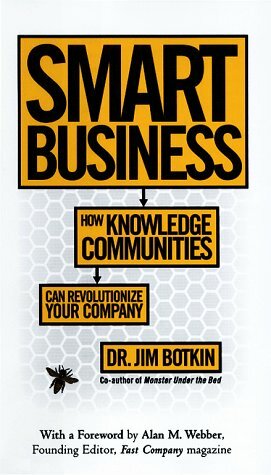 Botkin argues that we must build "knowledge communities" - groups of people with a shared passion to create, use, and share new knowledge for tangible business purposes. When we do, we will experience a transformation that powers our business and inspires new models of networked management. 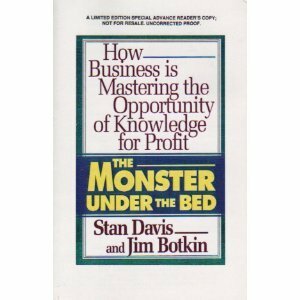 Botkin draws on the experiences of dozens of companies - and includes testimonials in an appendix from managers at such organizations as Xerox, Marriott, Saturn, and Los Alamos labs. New York : Free Press, c1999. The monster under the bedby Botkin, James W.